The innovative welding head guarantees airtight welding for packaging solutions, but also exceptional flexibility and productivity. 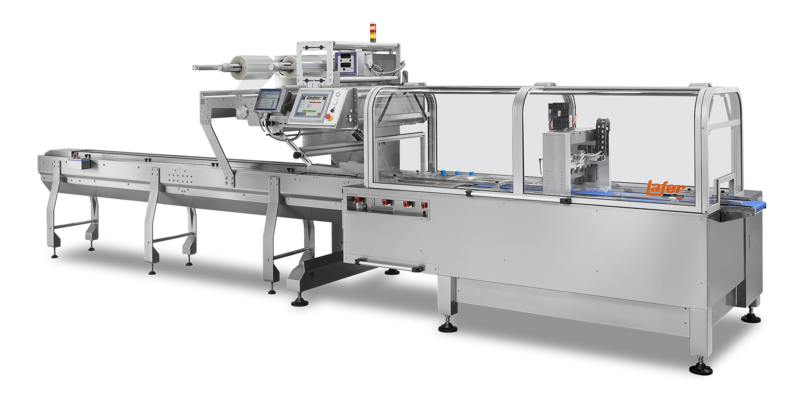 This machine is intended for all those clients who do not want to compromise, and are looking for a packaging machine that manages to combine flexibility, high performances and air-tightness. Our exclusive D-CAM system allow to achieve high speeds with gas flushing for all those products which requires hermetic sealing packaging and gas flushing packaging such as croissant packaging, donuts packaging, muffin packaging, sponge cakes packaging.